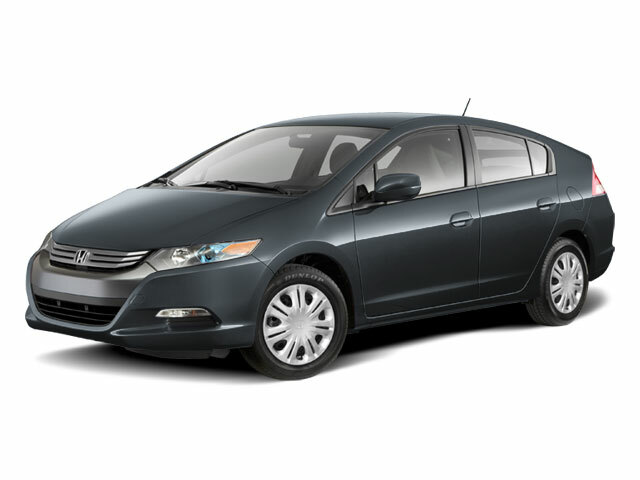 Honda has left the Insight alone for 2014. 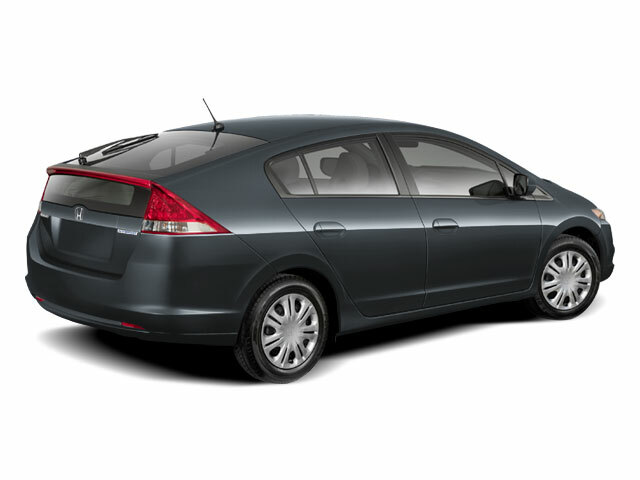 Honda revived the Insight name in 2010 in the form of a stylish, roomy hatchback featuring a hybrid electric powertrain. With an affordable entry price and lots of great features, the Insight has been an instant winner. The Insight draws its power from a 1.3L 4-cylinder gasoline engine which produces 98 horsepower mated to a DC brushless electric motor that puts out 13 additional horsepower. The two units work as one system, which Honda calls Integrated Motor Assist (IMA). The electric motor is ultra-thin, and sits between the gasoline engine and the transmission. The motor assists the engine, but also does double duty as a starter--quickly spinning the engine up to idle speed after a stop. The batteries are of the nickel-metal-hydride (NiMH) variety, which are stored beneath the rear cargo area. Putting power to the front wheels is a continuously variable transmission, which constantly adjusts to provide the most fuel-efficient drive ratio possible. The Insight comes in a base, LX and EX trim. All Insights provide ample interior head and leg room for both front and rear passengers, and with the rear seat folded down, cargo space is rated at 31.5 cubic feet. 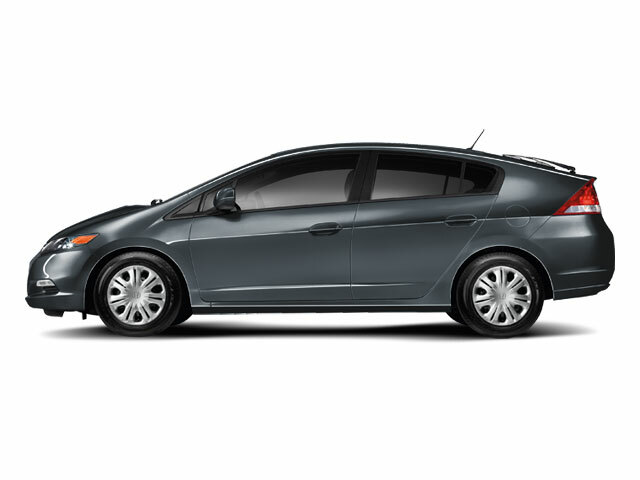 Standard equipment on the base trim includes HID headlamps, LED brake lights, rear wiper, a 160-watt CD/MP3 stereo, a tilt/telescoping steering column, power windows and locks, anti-lock brakes and Honda's Vehicle Stability Assist. The LX adds power mirrors, remote keyless entry, automatic climate control and cruise control. The EX adds Bluetooth, alloy wheels, heated mirrors and variable wipers. Navigation is optional on EX models--the system adds other goodies such as Bluetooth hands-free connectivity, steering wheel-mounted audio, navigation and phone controls. The Insight goes beyond being merely a hybrid and by providing direct feedback, challenging drivers to be aware of the impact of their driving habits. 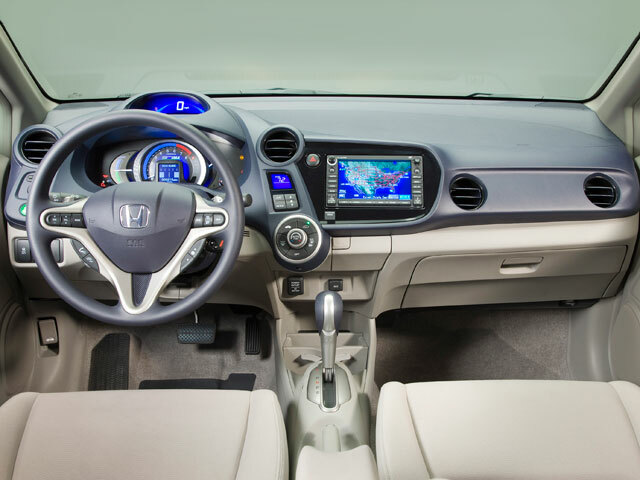 Honda calls the system Ecological Drive Assist System. It's made up of two components--an ECON button that optimizes how the CVT and engine work together and a unique feedback system that uses ambient colored lighting on the instruments to display whether a driver is being aggressive (blue lighting) or environmentally responsible (green lighting). At the end of each drive, drivers are awarded with an Eco Score based on how efficiently they performed. All Insights are loaded with standard safety features including dual-stage front airbags, front side airbags, side curtain airbags, active head restraints, anti-lock brakes with electronic brake distribution and a tire pressure monitor. The growing number of hybrids available means there is a lot of competition for green vehicle credentials. With the Insight's stylish looks, lots of interior space and Honda build quality, there's a lot to like. Honda calls upon its considerable experience producing efficient vehicles that maintain their resale value and continue to earn top marks in reliability to build the Insight-- giving hyper-efficient vehicles such as the Toyota Prius and Volkswagen Jetta TDI a serious run for the money. The Insight is also one of the least expensive hybrids available in the US.